This article is about durasteel. You may be looking for another use of the term. "When processed, ore becomes durasteel, which is used to make buildings and defenses strong." Durasteel was an incredibly strong and versatile metal alloy, created from carvanium, lommite, carbon, meleenium, neutronium, and zersium. It was capable of withstanding blistering heat, frigid cold, and monumental physical stress, even when very thin. Because of these properties, durasteel was used for almost everything, from smelting pots for other less hearty metals, to spacecraft hulls. Despite that, however, it could still corrode in the same manner as lesser steel alloys, and likewise requires maintenance. Durasteel containers were commonly seen throughout the galaxy. 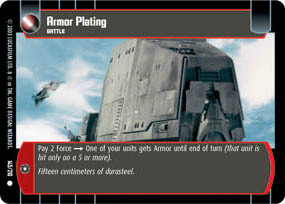 Jango Fett's armor was partly made of durasteel, and General Grievous also had some parts of his body made of this material. 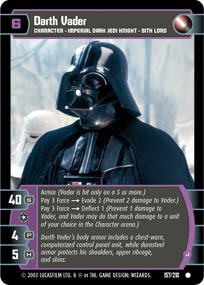 Darth Vader's armor was mostly made of durasteel, as was Boba Fett's before he upgraded during the Second Galactic Civil War to armor made of beskar. Both durasteel and duracrete were used for the buildings of Bartyn's Landing.